AT&T New unlimited data plan comes at a time when most wireless carriers have either eliminated or raised the price of unlimited data plans. 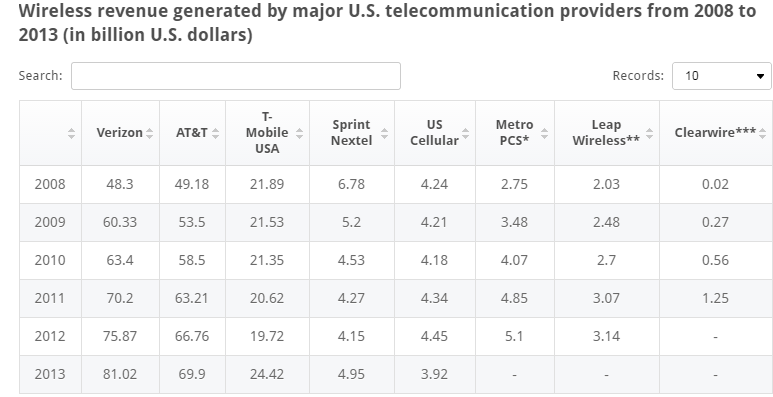 Sprint and T-Mobile, the only two carriers that still offer unlimited data to new customers, have bumped up prices. So does it technically offer unlimited data : Rider 2 .AT &T will only slow the connection for any customer who is in a data-congested area and who in a given month exceeds 22 gigabytes of data. This is equivalent to someone streaming 50 hours of video and 250 hours of music and then spending another 220 hours on the Internet each month. Rider 3 : How much is the actual cost :The monthly cost for the data is $60, plus $40 for each line. The fourth line is free. 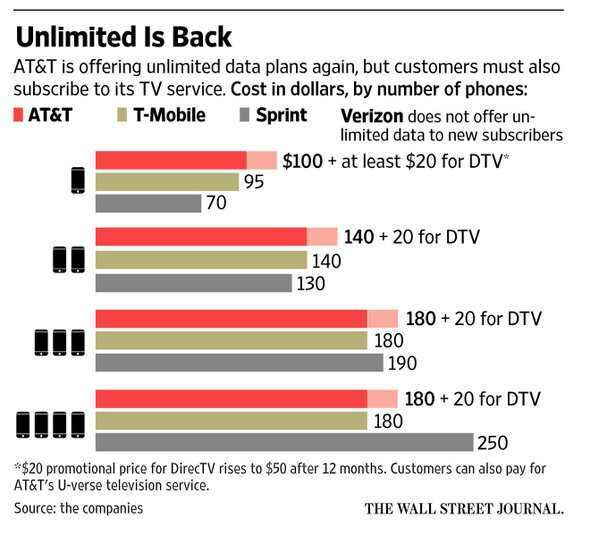 This means one line costs $100 a month, two lines are $140, and then three or four lines cost $180. . 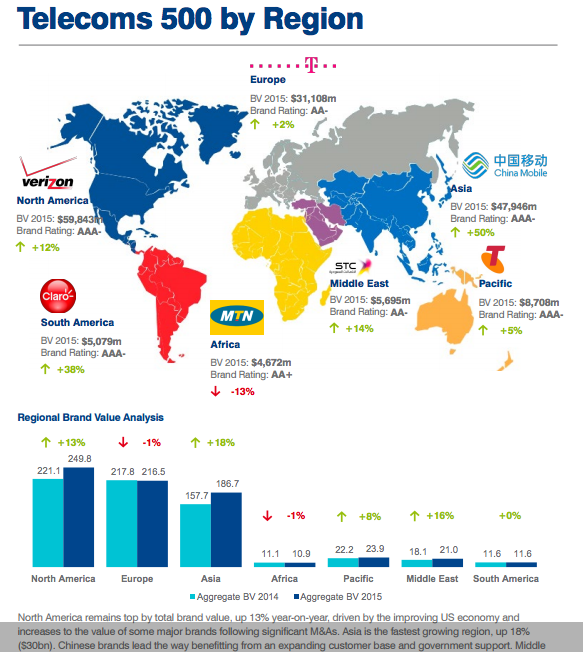 The key growth area for telecom carriers is data. Customers no longer see high speed data traffic as an additional service, but rather as a necessity. Developing a profitable and efficient 4G mobile network is a challenge that only a small number of telecoms worldwide have addressed successfully. The huge amount of funding required for Capital Expenditure has grown debt levels of some carriers, consequently leading to instability and financial difficulties. Different licences needed and slow 4G mobile spectrum auctions further impede telecoms efforts in developing their new generation mobile networks. THE BIGGEST MOST POWERFUL 15 COMPANIES IN CHINA :China is a nation that continues to break global records. It is the world!s largest car market (14 million units sold), has the largest number of Internet users (400 million against the entire US population of 300 million), and its GDP is on the point of overtaking Japan to become the world!s second largest economy after the US. China is now home to among the best global brands.The IPO of Agricultural Bank of China (ABC) in Hong Kong and Shanghai on July 19 this year (and which is reflected in this report) means that China is now home to four of the world's 10 biggest banks by market capitalization. This has happened only five years since the country's first major state-owned lender – Bank of China - went public in recordbreaking IPO launches in Hong Kong and Shanghai. China Mobile is the most valuable China brand, valued at US$22.62 billion. 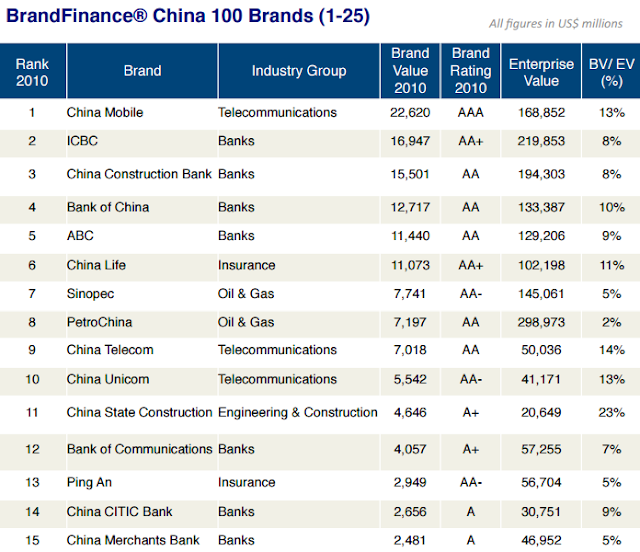 According to latest data the second most valuable China brand is banking giant ICBC, which has a brand value of US $16.947 billion.The second most valuable sector is Telecommunications with a combined brand value of US$37.436 billion, or 17.5% of the total. Meanwhile Insurance-related brands make up the third most valuable sector among the top 100 brands with a combined brand value of US$16.217 billion. China Life is by far the most valuable brand in this sector, with a brand value of US$11.073 billion. While Telecom network providers take great care in covering the metropolitan areas, small cities often lag behind. Is this true for the United Kingdom too? 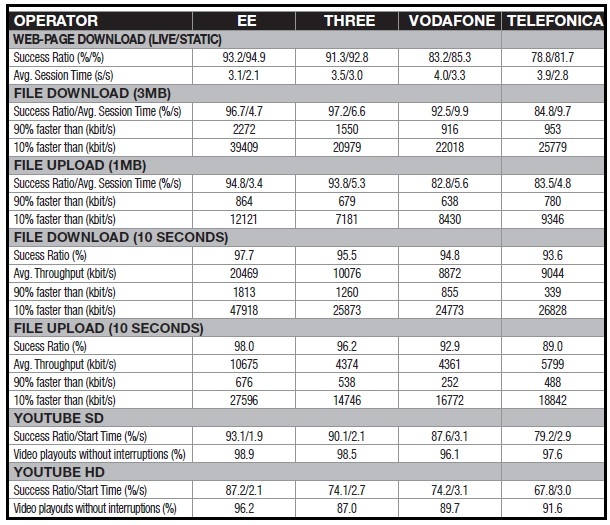 In 2014 in a similar mobile network test showed EE as the clear winner followed by Three with the best voice performance. O2 and Vodafone followed almost head-to-head. 2)One of the most often used services is web surfing which was tested with a mixture of 9 popular live and one static web-pages. The winner of last year‘s benchmark EE managed to improve its session success ratio for live web sites from 97 to 99 %. a)The average session time to download a popular live web site decreased from 4.1 to 2.7 seconds. b)The other three operators showed almost identical session times between 3.1 and 3.2 seconds, but on reliability Vodafone clearly ranked second with a healthy success ratio of 97.4 %, while Telefonica followed with 96.8 %. 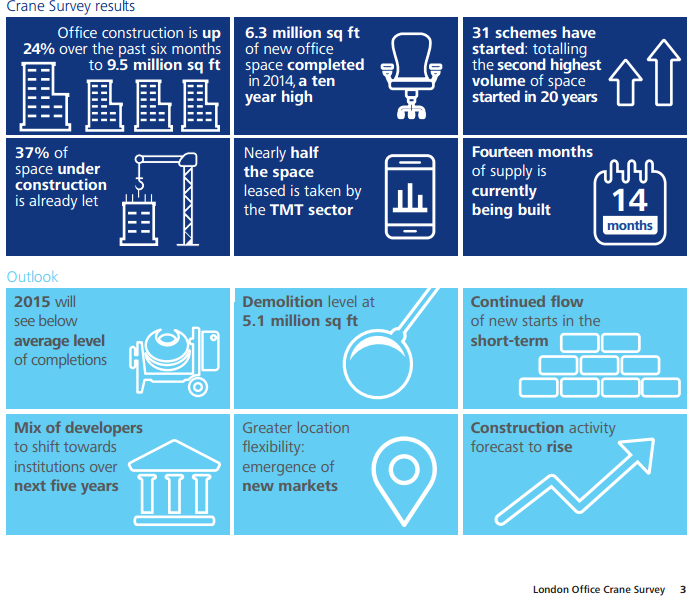 The latest Deloitte survey on the growth of office space real estate in London shows that corporations continue to invest on real estate office space in a big way. Nielsen Online’s AdRelevance service uses a proprietary methodology for estimating online advertising expenditures and takes into account only image-based technologies and advertising sold per CPM. Above data does not reflect house advertising activity, strategic partnerships between publishers and advertisers, or text units, paid search, sponsorships, email, units contained within applications (e.g., messengers and pre-rolls) or performance-based advertising.